Srinagr: Ahead of Prime Minister Narendra Modi’s visit to Jammu and Kashmir, authorities have heightened security across the state Saturday. Modi is scheduled to visit all the three regions — Jammu, Ladakh and the Kashmir Valley tomorrow. Reports said that a multi-tier security arrangement has been put in place for the Prime Minister’s visit. A team of Prime Minister’s Special Protection Group (SPG) has taken over all the venues Modi is scheduled to visit. Frisking of commuters, setting up of static and mobile checking points have been witnessed in Jammu city over the last three days. 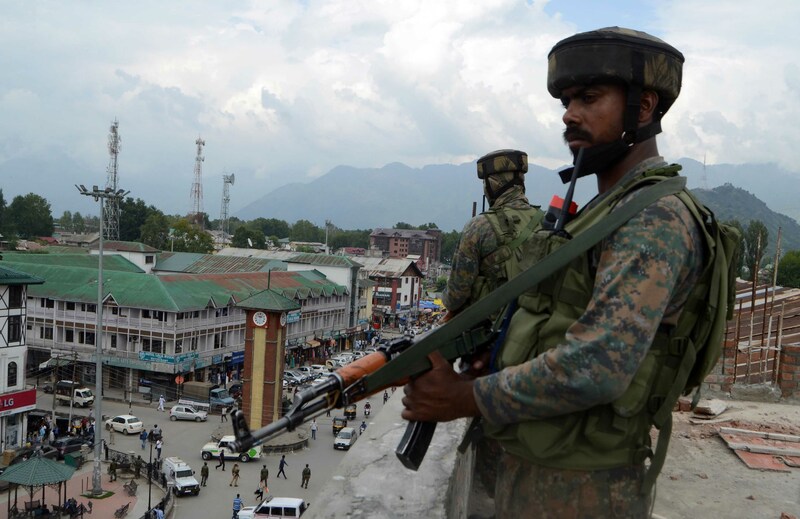 In Srinagar, security forces carried out search drills in city centre Lal Chowk on Friday. Drones fitted with cameras were used to provide aerial surveillance during these searches. Frequent frisking of commuters and thorough searches of vehicles entering Srinagar city has been started. The main venue is Sher-e-Kashmir International Convention Centre (SKICC) on the banks of the Dal Lake. Authorities on Saturday placed senior separatist leader Mirwaiz Umer Farooq under house arrest ahead of the visit. Joint Resistance Leadership (JRL), comprising of Syed Ali Geelani, Mirwaiz Umer Farooq and Muhammad Yasin Malik, has called for a valley-wide shutdown on Sunday. Former legislator Er Rasheed who had called for welcoming PM Modi with black flags was placed under house detention. During his visit, Modi will lay the foundation stone of the All India Institute of Medical Sciences (AIIMS), IIM, IIT, Jammu-Akhnoor road, Shahpur-Kandi road, Sunderbani College, and IIMC in Jammu during his visit.